Being interviewed on the radio was a new experience for me. Luckily it wasn’t live because I know I waffled on a bit too much, but they’ve edited it marvellously. You can listen to it here. I hope you were able to join in with Isadora Moon Day 2018 at a book shop near you. 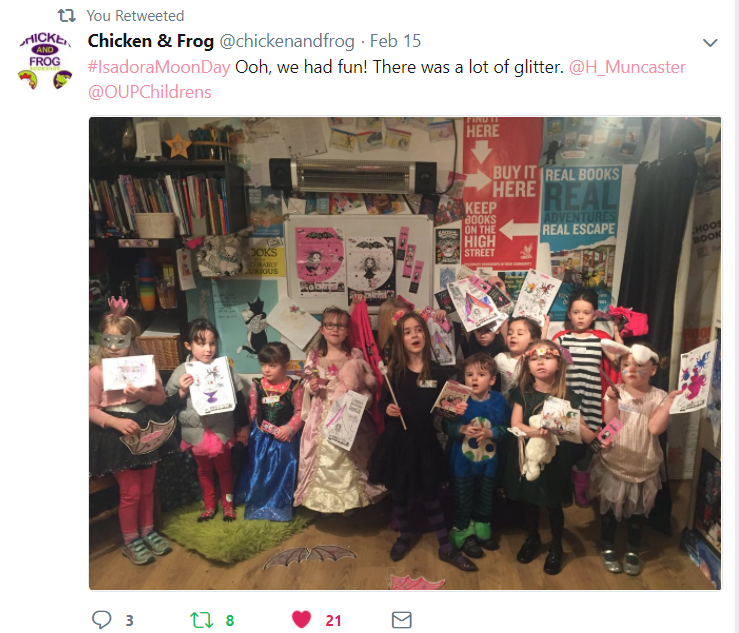 Thank you so much to Oxford University Press for organising party packs for all the shops. Here’s to an even bigger Isadora Moon Day in 2019! If you work with a bookshop, you can use my contact page to discuss an event at your shop. Isadora Moon Goes to the Fair is out on 1st March 2018. You can preorder with Amazon here.